One of our objectives to provide an interesting and varied programme of events, including talks, presentations and visits for members of Burton Leonard Garden Club, which has a register of membership of almost 40 people from the village. Wednesday 4th October, 7:30 pm in Saint Leonard’s Hall, a talk entitled “Gardens Through The Ages” will be given by Terry Frazier from the National Trust. Terry, a former project manager at Fountains Abbey and Studley Royal, has been a National Trust volunteer speaker for over 40 years and has given over 1000 talks on various topics. He was awarded the BEM in 2014 for services to Heritage Conservation. This talk will explain the history, development and restoration of gardens and parks, featuring the various styles from Tudor to modern times. 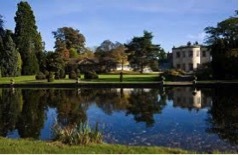 Wednesday 1st November at 10:00 am, a visit to Thorp Perrow Arboretum Bedale has been arranged. This is a follow up from a talk given earlier this year by Faith Douglas, curator, who will give the group a guided tour. This will take about 2 hours. The cost will be £7:50 each adult. Please advise me how many members/friends will be coming and any transport requests, by Saturday 14th October. If you know of anyone interested in joining Burton Leonard Gardening Club please give them my contact details.